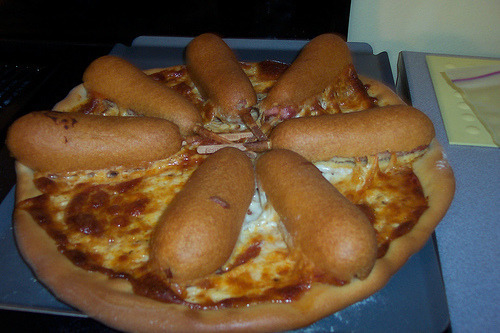 Corn dog pizza! More bad food. I've actually eaten the Garbage Plate at Nick Tahou's in Rochester.